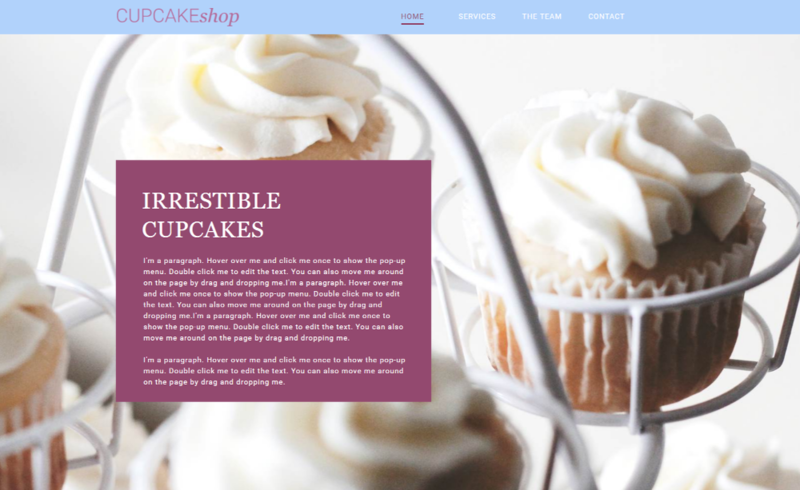 You have decided to create a website for your business, organization, sports club? Congratulations! A web presence is indeed, a showcase available at all times and for everyone. Fully customizable and at your image, a website must still contain some mandatory information. Your visitors should, at first glance, have a good idea of what your business is all about, therefore, a “Contact” page is not to be neglected. It is on this page that you give potential customers the opportunity to get important information about your company, your contact information, your e-mail address, or even get in touch with you directly! If you have a physical location, you need to add your address on your contact page. To do this, in the editor, to your left, click on add and that is where you will find the "Map" icon. 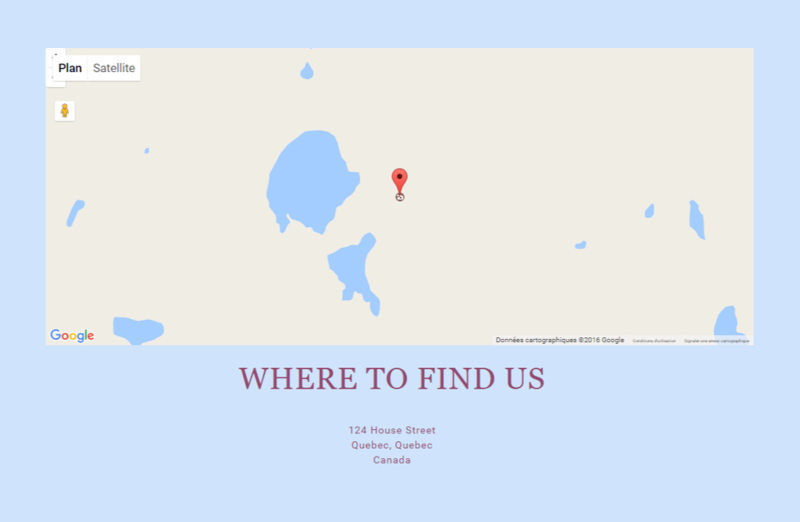 When it is dragged and dropped, simply write your address and a Google map will appear directly on your page with direction on how to get to your business. A very important element to add on your contact page is a form. 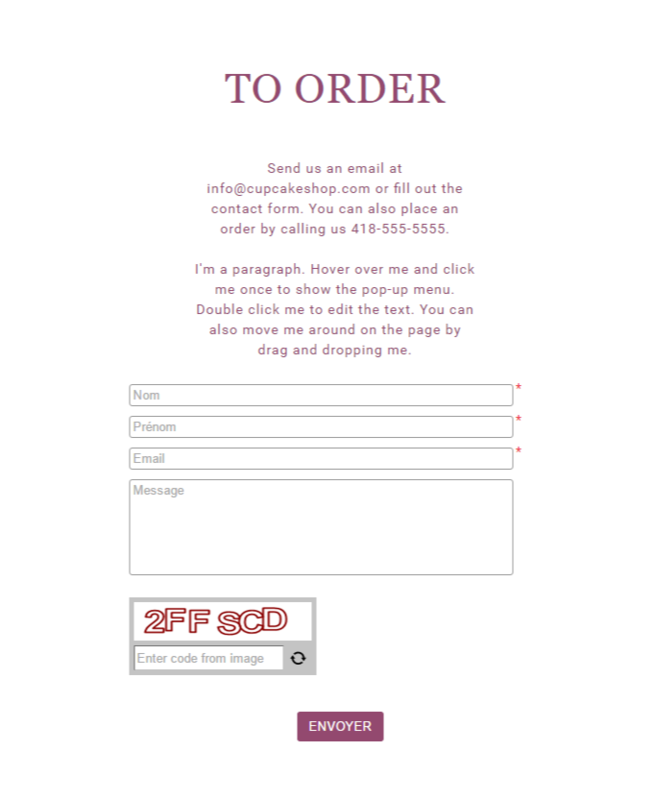 With a contact form, people will be able to get in touch with you directly from your website! These forms are ideal for submissions, reservations, orders, or just to ask questions! To add this type of form, in the editor, click on Add, then on the form tab and drag and drop it to the desired location. When this is done, you have the option to customize it, add / remove fields, add a title, make fields mandatory or not, and even change the style! Inbound and outbound links are very important on your website.Not only does it add notoriety but it also helps with the SEO optimization. If you use social networks in your marketing strategy, add links to them by adding icons or buttons that will redirect people directly to your profiles. In the editor on the left, you will find under the category "Social" the option Badges, which will allow you to add a social network bar to your website in a few clicks! Take advantage of this contact page to introduce your employees to your website visitors. Although some opt instead to have a page on their site that is entirely dedicated to introducing the employees, some will add a zone in the contact page for a small presentation of the team.This may be a good idea when you own a hairdressing salon, for example!